When will be AX Men next episode air date? 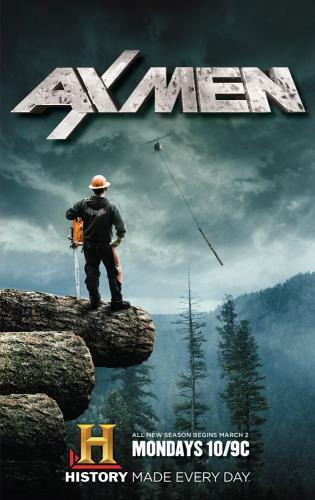 Is AX Men renewed or cancelled? Where to countdown AX Men air dates? Is AX Men worth watching? Season eight of Ax Men comes roaring back as the loggers take on America’s deadliest job to earn their cut of the timber. Hoping to reclaim the title “King of the Mountain,” Rygaard Logging pushes further into Washington’s Olympic Peninsula, to an extreme site that hasn’t been logged in over a century. Meanwhile, reigning champion Papac Alaska won’t go down without a fight—but this season the competition is fiercer than ever, with two new crews joining the ranks. Triack Logging (British Columbia) is considered the black sheep of the logging industry for taking on jobs that others won’t even consider. Zitterkopf (Wyoming) is a family-run outfit led by David Zitterkopf aka the “Madman of the Mountain.” They choose sites miles from civilization where they camp and live in the wilderness. They’re not just loggers—they’re mountain men and survivalists. AX Men next episode air date provides TVMaze for you. EpisoDate.com is your TV show guide to Countdown AX Men Episode Air Dates and to stay in touch with AX Men next episode Air Date and your others favorite TV Shows. Add the shows you like to a "Watchlist" and let the site take it from there.